Download your FREE 2013 NFL Guide Magazine HERE! This week, all NFL teams had to get their rosters down to 53 players. While hundreds of moves where made there, the three biggest moves were contract extensions. All of these cuts are shown under other moves, with the notable ones being in red to standout. One of the more underrated and unheralded players in the NFL, Atkins is the best 4-3 defensive tackle and the second best interior defensive lineman in the NFL, trailing only J.J. Watt. Signing a five-year contract, Atkins will receive $55 million with $31 million of this guaranteed. This contract places him as the third highest paid interior defensive linemen behind Haloti Ngata and Ndamukong Suh (who earned his via the grossly overpaying old rookie wage scale). Drafted in the 4th round of the 2010 NFL Draft with the 120th pick, Atkins has quickly risen from mid-round pick to All-Pro, earning 2nd Team honors in 2011 and 1st Team honors last season. Atkins’ rookie season was nothing special, making 16 tackles and 3 sacks while appearing in all 16 games. After becoming a starter in 2011, Atkins bust onto the scene with 47 tackles, 7.5 sacks, and 2 forced fumbles. His 7.5 sacks where tied for the most in the league from an interior defensive lineman. Last season, Atkins easily surpassed this number by recording 12.5 sacks to go along with 53 tackles and 4 forced fumbles. Atkins isn’t just a pass rusher though. His game is well-rounded as he is one of the best run defenders as well and an astute ability to rush the passer despite still being just 25-years old. Like Watt, it is scary to think of what he could do if he improves his game. This contract was a must for the Bengals as they couldn’t portray themselves as serious contenders if they let Atkins walk in free agency this offseason. Earlier this offseason, Carlos Dunlap was signed to a big contract extension as well, so the Bengals have laid the foundation for a dominant defensive line for years to come. A couple of weeks ago, the Dallas Cowboys signed their star linebacker, Sean Lee, to a contract extension. Now, the their in-state rivals, the Houston Texans, have signed their start linebacker to a contract extension. Lee received a six-year contract worth $42 million with a maximum value of $51 million and $16.1 million in guaranteed money. Cushing has exceeded these number by signing a six-year contract worth $55.643 million with $21 million guaranteed. This deal averages $9.27 million per season. Coming off a season where he tore his ACL in week five, Cushing is still only 26-years old, yet he has two 100+ tackle seasons. 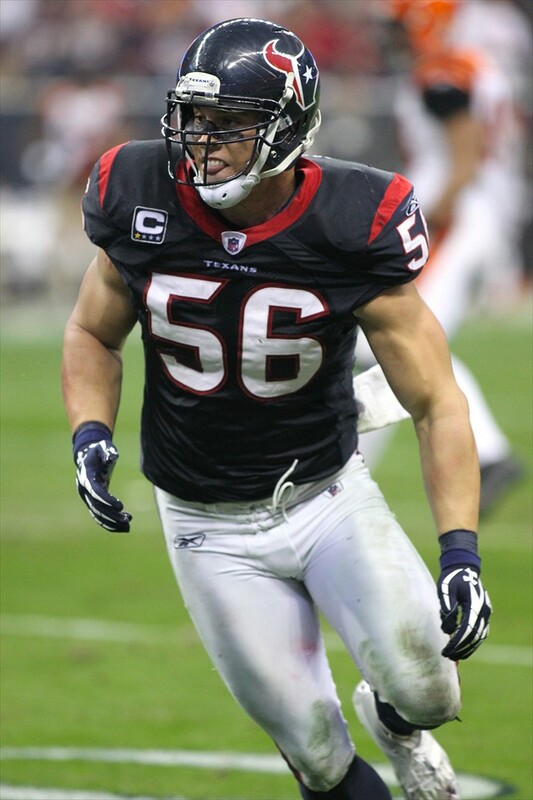 Drafted out of Southern California by the Texans with the 15th overall pick in 2009, Cushing recorded 134 tackles, 5 sacks, and 4 interceptions in his rookie season, earning the Defensive Rookie of the Year award. The following offseason, Cushing was suspended four games for violating the NFL’s policy on performance enhancing drugs. In that season, he had 76 tackles and 1.5 sacks in his 12 games. Based on his tackles per game, he was on pace for just over 100 tackles if he wasn’t suspended for four games. After this season, the Texans hired Wade Phillips as their defensive coordinator and Cushing moved to inside linebacker in Phillip’s 3-4 defense after being an outside linebacker in a 4-3 defense. He responded well to this change with 114 tackles, 4 sacks, and 2 interceptions and earned 2nd Team All-Pro honors. Cushing started the 2012 season off strong with 30 tackles and 1 interception in four full games and part of a fifth before tearing his ACL against the New York Jets in week five, ending his season. The time that Cushing missed really showed his value to the Texans defense. The defense never had the same aggressiveness and toughness without its leader. This, combined with good news on his knee (one can assume), led the Texans to signing Cushing to a new deal. While this deal seems strange with Cushing coming off such a severe injury, his value to the team is obvious and being in his contract year, a deal had to get done soon, and the Texans probably didn’t want to negotiate in-season, like most teams. Last of the contract extensions is Bills’ center Eric Wood, who, like the others, was set to become a free agent at the end of the season. A four-year extension, Wood will receive $25.4 million with a $9 million signing bonus. 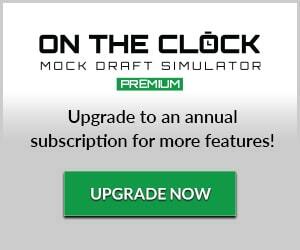 There is also $650,000 available in incentives every year if Wood plays in 85 percent of the Bills’ snaps. This average of $5.45 million per season, makes his the fifth-highest paid center in the league. Playing his college football at Louisville, Wood was drafted in the first round of the 2009 NFL Draft with the 28th overall pick by the Bills. After playing center in college, Wood shifted over to right guard for the Bills. Injuries have been the main thing holding Wood back in his career. Ten games into his rookie season, he suffered a compound fracture in his leg and was out for the season. In 2010, he came back healthy, missing only two games due to an ankle injury, after coming back from his nasty leg injury. For the 2011 season, Wood switched back to his college position of center and lasted nine games before tearing his ACL. Last season saw another knee injury for Wood as he partially tore his MCL causing him to miss two games. Despite this injury history, the Bills paid Wood as a top-five center, which he isn’t, even when healthy. When healthy he is probably a a borderline top-ten center. The Bills are hoping that he can finally play a season without an injury, so he can lead the offensive line, and help rookie quarterback E.J. Manuel transition to the NFL. Due to Wood’s injury history and the fact that he isn’t a top-five center, like he is now being paid, I am not a fan of this contract extension. Notable moves are in red. Cut: S Jonathon Amaya, C Adam Bice, WR Dan Buckner, DT David Carter, LB Kenny Demens, TE Alex Gottlieb, WR Charles Hawkins, OT Jamaal Johnson-Webb, G Senio Kelemete, CB Bryan McCann, LB Zack Nash, LB Colin Parker, TE Richard Quinn, G Chilo Rachal, LB Kenny Rowe, DT Padric Scott, S Curtis Taylor, WR Kerry Taylor, WR Mike Thomas, and LB Reggie Walker. Claim OT Bradley Sowell and NT Alameda Ta’amu off waivers. Cut: LB Brian Banks, FB Patrick DiMarco, G Theo Goins, DT Neal Huynh, LB Robert James, G Terren Jones, WR Darius Johnson, CB Terrence Johnson, CB Jordan Mabin, G Phillipkeith Manley, C Jacques McClendon, S Charles Mitchell, WR Martel Moore, DT Micanor Regis, DT Adam Replogle, WR James Rodgers, OT Alec Savoie, LB Pat Schiller, K Jeremy Shelley, CB Peyton Thompson, and RB Ronnie Wingo. Cut: RB Anthony Allen, CB Marc Anthony, TE Billy Bajema, S Omar Brown, LB Nigel Carr, RB Delone Carter, LB Brandon Copeland, QB Dayne Crist, OT Jordan Devey, WR Tandon Doss, TE Matt Furstenburg, OT Roger Gaines, QB Caleb Hanie, DT Cody Larsen, G Antoine McClain, RB Bobby Rainey, TE Alex Silvestro, C Reggie Stephens, OT J.J. Unga, and WR LaQuan Williams. Claim LB Robert James off waivers. Cut: DE Jamie Blatnick, DE Kourtnei Brown, RB Zach Brown, CB Crezdon Butler, G Antoine Caldwell, G Zack Chibane, DE Izaan Cross, DB Jordan Dangerfield, TE Dorin Dickerson, DB Kip Edwards, RB Kendall Gaskins, DT Jarron Gilbert, DB T.J. Heath, WR Brandon Kaufman, QB Matt Leinart, QB Thad Lewis, LB Keith Pough, TE Nick Provo, OT Zebrie Sanders, LB Bryan Scott, LB Brian Smith, C David Snow, and DT Torell Troup. Claim CB Brandon Burton off waivers. Sign sign S Jim Leonhard and K Dan Carpenter. Cut: WR Brenton Bersin, OT Patrick Brown, S D.J. Campbell, OL Garrett Chisolm, QB Jimmy Clausen, TE Dominique Curry, WR David Gettis, CB Drayton Florence, DT Sione Fua, G Hayworth Hicks, LB Doug Hogue, WR Taulib Ikharo, LB Ben Jacobs, S Robert Lester, G Tori Mobley, TE Zack Pianalto, RB Tauren Poole, DE Craig Roh, S Anderson Russell, WR James Shaw, DT Casey Walker, and LB Jason Williams. Sign sign S Quintin Mikell. Cut: TE Kyle Adams, RB Armando Allen, OT Cory Brandon, OL Derek Dennis, QB Trent Edwards, LB Jerry Franklin, WR Brittan Golden, S Brandon Hardin, LS Brandon Hartson, CB Demontre Hurst, DT Corvey Irvin, WR Josh Lenz, S Tom Nelson, TE Fendi Onobun, DE Cheta Ozougwu, QB Jordan Palmer, OT Jonathan Scott, LB J.T. Thomas, WR Terrence Toliver, DT Christian Tupou, RB Harvey Unga, OT J’Marcus Webb, DL Aston Whiteside, G Edwin Williams, and DE Josh Williams. Claim DE David Bass off waivers. Cut: FB John Conner, LS Bryce Davis, S Tony Dye, OT Reid Fragel, WR Cobi Hamilton, RB Daniel Herron, C T.J. Johnson, CB Chris Lewis-Harris, CB Onterio McCalebb, LB Dontay Moch, CB Shaun Prater, WR Taveon Rogers, WR Roy Roundtree, OT Dennis Roland, LB J.K. Schaffer, QB John Skelton, DT Terrence Stephens, G John Sullen, and LB Bruce Taylor. Cut: OL Aaron Adams, DB Akeem Auguste, K Brandon Bogotay, C Braxston Cave, LB Justin Cole, RB Jamaine Cook, DL Hall Davis, TE Kellen Davis, WR Mike Edwards, ILB L.J. Fort, K Shayne Graham, TE Dan Gronkowski, WR Tori Gurley, G Caylin Hauptmann, RB Brandon Jackson, LB James-Michael Johnson, DB Abdul Kanneh, RB Miguel Maysonet, WR David Nelson, DB Kent Richardson, WR Naaman Roosevelt, DL Brian Sanford, P Colton Schmidt, C Jarrod Shaw, S Jamoris Slaughter, TE Brad Smelley, and LB Justin Staples. Claim TE MarQueis Gray, RB Dennis Johnson, OL Patrick Lewis, LB Brandon Magee, TE Keavon Milton, and RB Bobby Rainey off waivers. Cut: WR Anthony Armstrong, OT Demetress Bell, WR Tim Benford, CB Xavier Brewer, WR Danny Coale, OT Edawn Coughman, G Ray Dominguez, DE Jabari Fletcher, DE Thaddeus Gibson, CB Jakar Hamilton, C Kevin Kowalski, LB Cameron Lawrence, RB Kendial Lawrence, DT Jerome Long, LB Brandon Magee, LB Caleb McSurdy, CB Sterling Moore, CB Micah Pellerin, LB Taylor Reed, QB Alex Tanney, and DE Jason Vega. Claim LB Kyle Bosworth off waivers. Trade DT Sean Lissemore to the San Diego Chargers for a 7th round pick. Trade TE Dante Rosario to the Chicago Bears for a 7th round pick. Cut: RB Lance Ball, DE Jeremy Beal, OL Philip Blake, OT Paul Cornick, OL C.J. 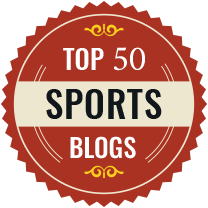 Davis, DT Romney Fuga, DE Ben Garland, CB Aaron Hester, RB Jacob Hester, LB Damien Holmes, RB Jeremiah Johnson, WR Tavarres King, C Ryan Lilja, TE Jake O’Connell, OT Vinston Painter, S Ross Rasner, WR Gerell Robinson, WR Lamaar Thomas, and DE John Youboty. Cut: G Rodney Austin, CB Ron Bartell, RB Shaun Chapas, P Blake Clingan, DT Andre Fluellen, WR Corey Fuller, CB Chris Greenwood, OT Kevin Haslam, LB Brandon Hepburn, S Tyrell Johnson, OL Darren Keyton, LB Jon Morgan, RB Steven Miller, LB Jon Morgan, S Martavius Neloms, DT Ogemdi Nwagbuo, DT Xavier Proctor, DT Jimmy Saddler-McQueen, OL Jake Scott, S Amari Spievey, LB Chris White, and WR Matt Willis. Claim S DeJon Gomes off waivers. Cut: FB Jonathan Amosa, QB B.J. Coleman, OT Andrew Datko, S David Fulton, C Garth Gerhart, RB Alex Green, OT Kevin Hughes, WR Charles Johnson, C Patrick Lewis, LB Terrell Manning, CB Loyce Means, DT Jordan Miller, LB Dezman Moses, TE Matthew Mulligan, CB James Nixon, S Chaz Powell, LB Donte Savage, CB Brandon Smith, TE Jake Stoneburner, WR Tyrone Walker, WR Myles White, TE D.J. Williams, and QB Vince Young. Cut: DE Keith Browner, TE Jake Byrne, DB Roc Carmichael, FB Tyler Clutts, ILB Cameron Collins, WR Andy Cruse, G Tyler Horn, NT David Hunter, DE Delano Johnson, RB Dennis Johnson, S Orhian Johnson, NT Chris Jones, RB Deji Karim, C Alex Kupper, CB Elbert Mack, OT Nate Menkin, ILB Mike Mohamed, DL Daniel Muir, WR Uzoma Nwachukwu, WR Mike Smith, and S Jawanza Starling. Cut: OLB Daniel Adongo, S Larry Asante, C Thomas Austin, S John Boyett, OT Emmett Cleary, TE Justice Cunningham, CB Marshay Green, DE Lawrence Guy, QB Chandler Harnish, FB Robert Hughes, OT Ben Ijalana, TE Dominique Jones, WR Jeremy Kelley, LB Shawn Loiseau, LB Josh McNary, DT Drake Nevis, CB Sheldon Price, WR Jabin Sambrano, WR Lanear Sampson, LB Monte Simmons, OT Bradley Sowell, CB Daxton Swanson, NT Martin Tevaseu, RB Kerwynn Williams, and OL Lee Ziemba. Claim TE Jack Doyle off waivers. Trade DE Caesar Rayford to the Dallas Cowboys for a conditional draft pick in 2015. Cut: DT T.J. Barnes, S Antwon Blake, TE Brett Brackett, WR Toney Clemons, DE Ryan Davis, OT R.J. Dill, WR Jeremy Ebert, DE Pannel Egboh, C Dan Gerberry, RB Jonathan Grimes, QB Mike Kafka, DT Kyle Love, LB Brandon Marshall, WR Charly Martin, OT Pat McQuistan, G Drew Nowak, TE Ryan Otten, WR Tobais Palmer, FB Lonnie Pryor, CB Kevin Rutland, QB Matt Scott, WR Jordan Shipley, LB Julian Stanford, LB Andy Studebaker, S Steven Terrell, CB Marcus Trufant, and LB Mike Zimmer. Claim WR Stephen Burton, DB Winston Guy, TE Clay Harbor, G Jacques McClendon, LB Chris McCoy, LB J.T. Thomas, and TE D.J. Williams off waivers. Cut: OT Steven Baker, WR Josh Bellamy, S Malcolm Bronson, S Greg Castillo, CB Kennard Cox, LB Zac Diles, DL Marcus Dixon, OL Tommie Draheim, LB Darin Drakeford, RB Shaun Draughn, WR Frankie Hammond Jr., TE Demetrius Harris, S Tysyn Hartman, G Ricky Henry, DE Austin Lane, LB Orie Lemon, TE Tony Moeaki, CB Semaj Moody, FB Toben Opurum, OT Matt Reynolds, WR Rico Richardson, OL Rokevious Watkins, and LB Ridge Wilson. Trade OLB Edgar Jones and a 7th round pick to the Dallas Cowboys for a 6th round pick. Cut: OT Jeff Adams, LB Antwan Applewhite, G Chris Barker, C Sam Brenner, WR Chad Bumphis, QB Aaron Corp, WR Keenan Davis, DT A.J. Francis, RB Jonas Gray, S Keelan Johnson, S Jordan Kovacs, OT Andrew McDonald, WR Marvin McNutt, TE Kyle Miller, DE Tristan Okpalaugo, CB Julian Posey, CB De’Andre Presley, DT Kheeston Randall, DT Tracy Robertson, LB Lee Robinson, G Josh Samuda, LB Austin Spitler, and WR Brian Tyms. Cut: TE Colin Anderson, RB Joe Banyard, S Brandan Bishop, G Travis Bond, CB Brandon Burton, WR Stephen Burton, DT Everett Dawkins, S Darius Eubanks, CB Bobby Felder, TE Chase Ford, OT Brandon Keith, OL Troy Kropog, DT Anthony McCloud, LB Tyrone McKenzie, OT Kevin Murphy, DT Spencer Nealy, DE D’Aundre Reed, WR Rodney Smith, WR Adam Thielen, and RB Collins Ukwu. Claim OT J’Marcus Webb off waivers. Cut: TE Jake Ballard, FB Ben Bartholomew, DL Marcus Benard, C Braxston Cave, CB Marquice Cole, DE Jermaine Cunningham, LB Ja’Gared Davis, S Kanorris Davis, FB James Develin, TE Daniel Fells, OL Josh Kline, DT Marcus Forston, DE Justin Francis, DB Justin Green, WR Johnathan Haggerty, OL Josh Kline, OL Chris McDonald, LB Tyrone McKenzie, P Zoltan Mesko, DB Stephon Morris, TE Matthew Mulligan, OL Luke Patterson, DL Gilbert Peña, LB Mike Rivera, WR Quentin Sims, OL Matt Stankiewitch, LB Jeff Tarpinian, QB Tim Tebow, DL Scott Vallone, RB Leon Washington, and RB George Winn. Claim LB Chris White, C Braxston Cave, G Chris Barker, and DT A.J. Francis off waivers. Sign CB Marquice Cole, TE Matt Mulligan, and FB James Develin. Cut: NT Isaako Aaitui, OLB Baraka Atkins, CB Chris Carr, QB Ryan Griffin, WR Saalim Hakim, TE Michael Higgins, S Jim Leonhard, FB Austin Johnson, OLB Rufus Johnson, OT Marcel Jones, CB Korey Lindsey, G Elliott Mealer, TE Keavon Milton, S Jerico Nelson, WR Preston Parker, DE Jay Richardson, WR Courtney Roby, CB Jumal Rolle, LB Ray Shipman, G Andrew Tiller, and C Jeremiah Warren. Cut: DT Marvin Austin, LB Kyle Bosworth, DE Matt Broha, OL Bryant Browning, S David Caldwell, OL Selvish Capers, QB David Carr, S David Caldwell, CB Terrence Frederick, OL Stephen Goodin, WR Kevin Hardy, WR Marcus Harris, OL Eric Herman, CB Charles James, DE Adewale Ojomo, OL Matt McCants, S Tyler Sash, WR Julian Talley, RB Ryan Torain, and DE Adrian Tracy. Cut: DB Royce Adams, DT Junior Aumavae, WR Michael Campbell, K Dan Carpenter, DT Lanier Coleman, C Erik Cook, LB Troy Davis, LB JoJo Dickson, CB Mike Edwards, DT Tevita Finau, DT Antonio Garay, QB Graham Harrell, WR Mohamed Massaquoi, RB Mossis Madu, QB Greg McElroy, S Rontez Miles, WR Ben Obomanu, TE Chris Pantale, WR Zach Rogers, LB Jacquies Smith, T Jason Smith, and T J.B. Shugarts. Cut: DL Ryan Baker, OT Alex Barron, DE David Bass, LB Billy Boyko, DE Andre Carter, CB Chance Casey, G Jason Foster, LB Omar Gaither, TE Richard Gordon, CB Joselio Hanson, OT Tony Hills, WR Greg Jenkins, S Shelton Johnson, P Chris Kluwe, TE Brian Leonhardt, G Lamar Mady, K Justin Medlock, S Reggie Smith, OT Willie Smith, DT Kurt Taufa’asau, LB Chase Thomas, WR Conner Vernon, RB Deonte Williams, and QB Tyler Wilson. Claim G Antoine McClain and DT Brian Sanford off waivers. Sign sign OT Tony Pashos. Cut: LB Emmanuel Acho, OT Michael Bamiro, LB Everette Brown, DT Antonio Dixon, QB Dennis Dixon, TE Clay Harbor, DE David King, QB G.J. Kinne, OL Matt Kopa, DE Joe Kruger, CB Trevard Lindley, LB Travis Long, WR Ifeanyi Momah, WR Will Murphy, LB Chris McCoy, WR Will Murphy, OL Dallas Reynolds, LB Adrian Robinson, WR Greg Salas, WR Russell Shepard, S David Sims, OL Matt Tennant, RB Matthew Tucker, and G Danny Watkins. Claim LB Najee Goode off waivers. Cut: RB Alvester Alexander, DE Brian Arnfelt, LB Alan Baxter, WR Justin Brown, P Drew Butler, WR Reggie Dunn, RB Jonathan Dwyer, LB Terence Garvin, OL Mike Golic Jr., CB Isaiah Green, CB Terry Hawthorne, G Chris Hubbard, OT Joe Long, C Joe Madsen, TE Jamie McCoy, LB Marshall McFadden, WR Kashif Moore, P Brian Moorman, TE Nathan Overbay, LB Brian Rolle, CB Devin Smith, NT Alameda Ta’amu, S Ross Ventrone, and CB Josh Victorian. Claim CB Antwon Blake off waivers. Cut: OT Nick Becton, OLB Frank Beltre, CB Cornelius Brown, S Sean Cattouse, TE Ben Cotton, CB Marcus Cromartie, LB Phillip Dillard, CB Greg Gatson, LB Richard Goodman, DE Logan Harrell, LB Jerrell Harris, RB Michael Hill, CB Josh Johnson, LB Thomas Keiser, WR Robert Meachem, CB William Middleton, C David Molk, LB Dan Molls, DE Brandon Moore, OT Randy Richards, TE David Rolf, G Stephen Schilling, LB D.J. Smith, OT Max Starks, and WR Luke Tasker. Claim DL Drake Nevis and LB Terrell Manning off waivers. Cut: OL Carter Bykowski, WR Austin Collie, DB Marcus Cooper, TE MarQueis Gray, WR Chad Hall, RB Jewel Hampton, WR Lavelle Hawkins, LB Joe Holland, WR Chuck Jacobs, LS Brian Jennings, LB Travis Johnson, DB Darryl Morris, OL Patrick Omameh, WR Kassim Osgood, NT Mike Purcell, S Trenton Robinson, FB Jason Schepler, S Michael Thomas, OL Wayne Tribue, QB Seneca Wallace, and OT Kenny Wiggins. Sign WR Chris Harper off the Seahawks practice squad. Trade OLB Cam Johnson to the Indianapolis Colts for a 7th round pick. Cut: WR Phil Bates, DT Michael Brooks, DT Dewayne Cherrington, WR Arceto Clark, TE Darren Fells, DB Winston Guy, WR Chris Harper, TE Cooper Helfet, DT Jaye Howard, G Rishaw Johnson, DT Clinton McDonald, TE Sean McGrath, DB Ron Parker, LB Ty Powell, QB Brady Quinn, FB Michael Robinson, G Ryan Seymour, DE DeShawn Shead, DT Sealver Siliga, G Jared Smith, WR Bryan Walters, and CB Antoine Winfield. Cut: WR Emory Blake, DE Mason Brodine, LB Sammy Brown, QB Austin Davis, S Cody Davis, LB Jo-Lonn Dunbar, DT Garrett Goebel, S Rashard Hall, OT Sean Hooey, LB Josh Hull, WR Nick Johnson, OL Ryan Lee, TE Philip Lutzenkirchen, DE Andre Martin, OL Ty Nsekhe, TE Zach Potter, FB Eric Stevens, CB Drew Thomas, WR Justin Veltung, DE R.J. Washington, CB Darren Woodard, and OT D.J. Young. Sign DE Eugene Sims to a two-year contract extension. Cut: G Roger Allen, S Sean Baker, CB Deveron Carr, OL Jace Daniels, LB Dom DeCicco, LS Andrew DePaola, K Derek Dimke, WR David Douglas, DT Gary Gibson, LB Ka’Lial Glaud, LB Najee Goode, S Cody Grimm, P Chas Henry, DT Lazarius Levingston, DT Matthew Masifilo, WR Jordan Norwood, DT Andre Neblett, TE Danny Noble, WR Chris Owusu, T Mike Remmers, CB Mason Robinson, WR Tiquan Underwood, and G Cody Wallace. Claim DT Chris Jones and WR Russell Shepard off waivers. Cut: S Al Afalava, T Daniel Baldridge, TE Brandon Barden, DT Stefan Charles, DT Zach Clayton, TE Jack Doyle, LB Gary Guyton, DT DaJohn Harris, S Corey Lynch, FB Collin Mooney, DE Nigel Nicholas, RB Jalen Parmele, WR Rashad Ross, LB David Shaw, LB Tim Shaw, QB Rusty Smith, LB Scott Solomon, G Kasey Studdard, C Fernando Velasco, WR Dontel Watkins, LB Jonathan Willard, and CB Khalid Wooten. Cut: DE Chigbo Anunoby, DT Ron Brace, WR Dezmon Briscoe, LB Marvin Burdette, LB Will Compton, RB Tristan Davis, WR Skye Dawson, S DeJon Gomes, DE Dominique Hamilton, RB Jawan Jamison, WR Lance Lewis, C Kevin Matthews, CB Chase Minnifield, LB Roddrick Muckelroy, OT Xavier Nixon, TE Emmanuel Ogbuehi, OT Tony Pashos, LB Vic So’oto, OL Tevita Stevens, RB Keiland Williams, and WR Nick Williams.